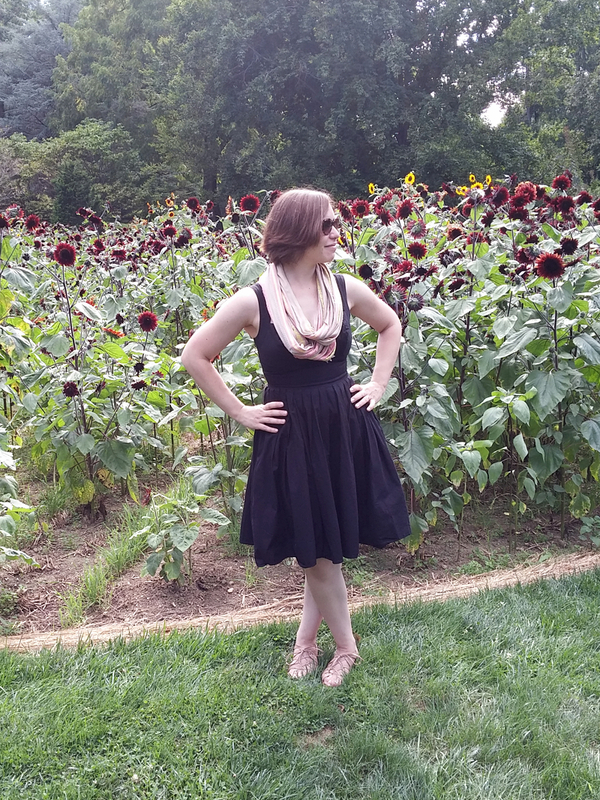 While we were roaming Chanticleer Garden, I asked my brother to snap a few photos of me in front of the sunflowers, to use for outfit photos. 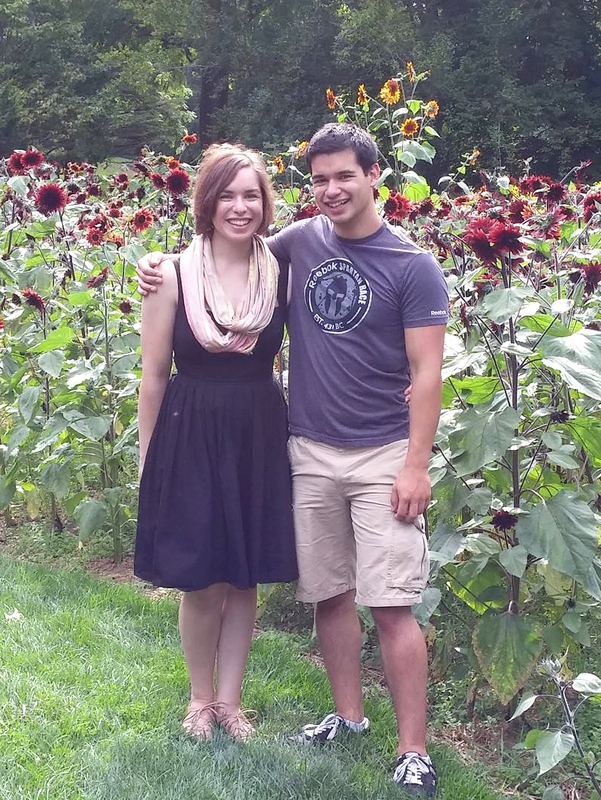 The sun wasn't in our favor, apparently, but I am happy to have some outfit photos taken outside. I wanted to wear something summery and garden-y that day, so I chose my most feminine dress. (You can also see it worn here and here.) The smarter choice would have been pants and a t-shirt, for the sheer fact that I got over a dozen mosquito bites that day... but I felt really pretty walking around the gardens in my dress, and that was a good enough reason to wear it! 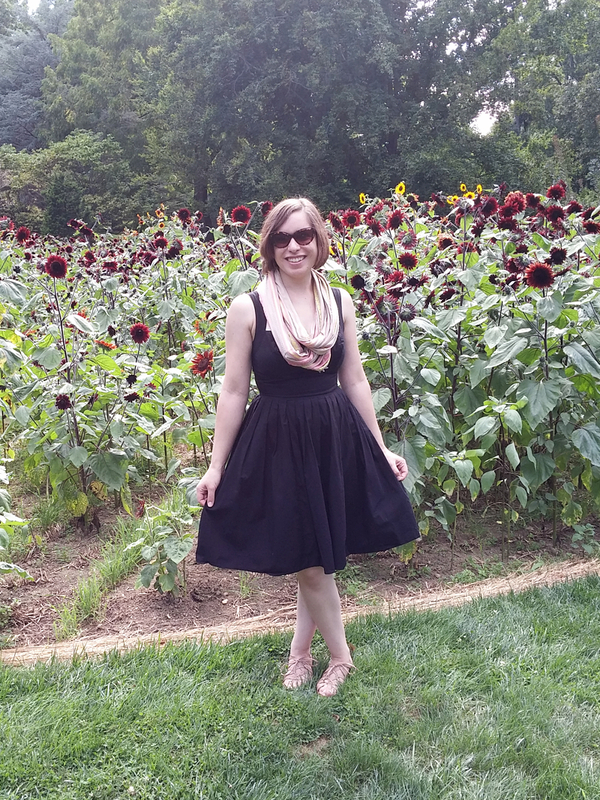 I've found it's incredibly easy to dress up or down (I wore it to a friend's wedding last year with a short sleeved cardigan and heels), and I think it's a great piece on its own, so it doesn't need much to elevate it. So far it's the only thing I've ever ordered from eShakti, but every time I wear it I'm reminded that I should order custom pieces more often. And one of my brother and I, for good measure! That is a super pretty dress! Ug I get bitten like crazy anytime I go outside in the summer. But I don't like mosquito spray cause it stinks. That's one thing I'm looking forward to with the upcoming cold weather, no more bugs! Thanks! I'm not a fan of bug spray either... I wish they could make it with more pleasant scents. Not to mention that it's just not part of my daily routine, so I never think about it until it's too late! It's like sunscreen.... which should really be part of my daily routine.